Perhaps looking to go upscale with their fish sandwiches, Carl's Jr. tests the new Charbroiled Salmon Sandwich just in time for Lent. 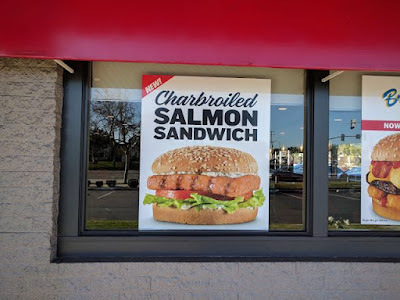 The sandwich consists of a charbroiled salmon filet along with tartar sauce, lettuce, and tomato on a honey wheat bun. 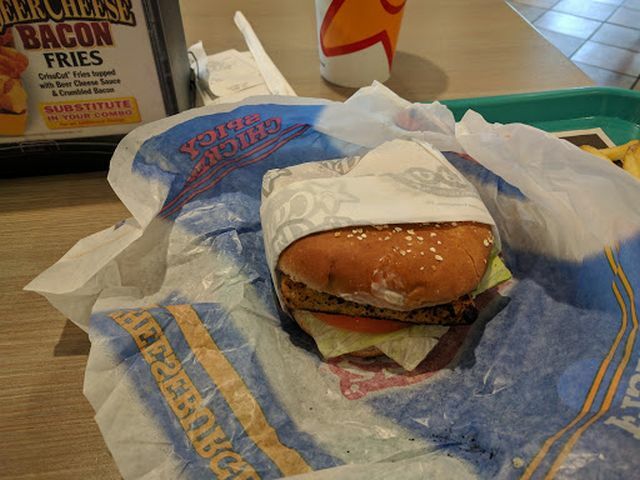 The sandwich was spotted in Santa Ana, CA by one of your fellow BrandEaters, Kevin, who tried it out and was kind enough to share some photos. "It was fairly good. It had a decent salmon flavor and I think some dill though it wasn't very strong. The texture was good and firmer than their previous charbroiled cod sandwich. As a person who isn't a big fan of white fish, I was happy to see salmon as the protein. It cost me $7.18 (without tax) for a medium combo." 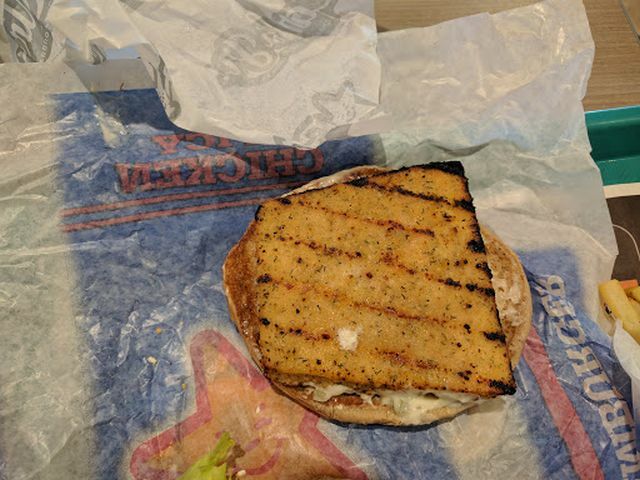 While they longer offer it, Carl's Jr. previously served a Charbroiled Atlantic Cod Fish Sandwich (introduced back in 2013) that was much the same as the salmon sandwich but with a cod filet rather than a salmon one. A salmon sandwich would stand out quite a bit against the usual cod and/or pollock that most fast food chains stock around this time of year.